In Eastern Washington and Northern Idaho, Premier Basement Systems (formerly Timbercreek Northwest, Inc.) has been performing basement waterproofing and crawl space repair since 1992. For the past two decades we have been waterproofing basement and crawl spaces for both homeowners and businesses. Our aim is to provide permanent waterproofing solutions with superior customer service at fair prices. It does not matter if you are dealing with moisture and water damage in the basement, bowing or buckling basement walls, or a damp and moldy crawl. 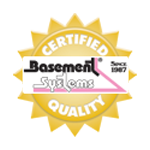 Our trained and certified technicians are armed with patented basement and crawl space products. For basement waterproofing, crawl space repair or radon mitigation we are your trusted expert. We proudly serve Coeur d'Alene, Spokane, Post Falls and all surrounding areas. 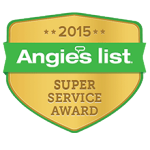 Call today for a free inspection and estimate! Keep water out of your basement with our proven products and expert installation. We can solve any foundation structural problem with proven repair solutions. Make sure your home is safe with our qualified radon testing and mitigation services. We offer complete crawl space encapsulation & repair services. Premier Basement Systems is the authorized Basement Systems dealer for Post Falls, Coeur d'Alene, Spokane & surrounding areas in Idaho and Washington. 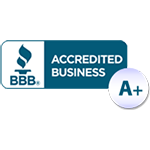 This means we have access to patented basement and crawl space waterproofing products. Our technicians also receive extensive training for their certification. Even after certification, we emphasize continuous training, to ensure our employees are the best in the field. We treat you and your home with respect. This respect means that we are direct and honest in our price estimates. It means we arrive on time and finish projects on schedule. It means we answer all your questions and leave behind a clean workspace. 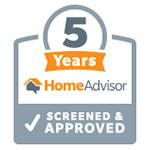 Armed with patented products, years of experience and quality customer service, we are the right choice for you and your home. "Very fast installation and good service, Thanks"
"From start to finish, you all were amazing!! Heather and..."
We have worked on successful waterproofing projects for hundreds of homeowners and businesses. Since every home is unique, each project gives us additional insight into our work. Over time we have developed waterproofing solutions for every type of need. When we design a system for your home our focus is on longevity. We only use the highest quality products and tools that allow for permanent basement and crawl space waterproofing. If you are dealing with water or mold in your basement or crawl space, we have an answer. Using a hidden, proprietary French drain system, we prevent any water from entering the space. If you are dealing with a bowing or buckling basement wall, we have an answer. Using I-beams wall anchors, we force basement walls back to their original, stabilized positions. If you are worried about potential Radon Gas in your home, we an answer. If after testing, radon gas if found, we install a professional radon mitigation system. So, if you are dealing with any of these issues, call us today. 1-833-820-3899. We proudly serve Greater Spokane and nearby ID and WA.